The use of hashtags has evolved beyond simply adding a “#” before keywords. Marketers are now taking the time to plan a hashtag strategy, resulting in a much stronger and more effective social media campaign. If you’ve ever planned an event—whether it’s a birthday party, family reunion, or full-fledged conference—you know that it takes a lot of time, preparation, and hard work. Beyond just nailing down the logistics, for large events to succeed you need to amplify and promote the heck out of them, especially on social media. One way to do that is to—yes—embrace the event hashtag. And not just any generic hashtag will do. You need one that’s unique, one that you can use across the land (or the internet) to promote the who, what, when, where and, most importantly, the why of your event. To paraphrase Field of Dreams, if you promote it, they will come. Here are 5 rules for getting the most out of your event hashtag. Relevant. Obviously, your hashtag should be related to your event. 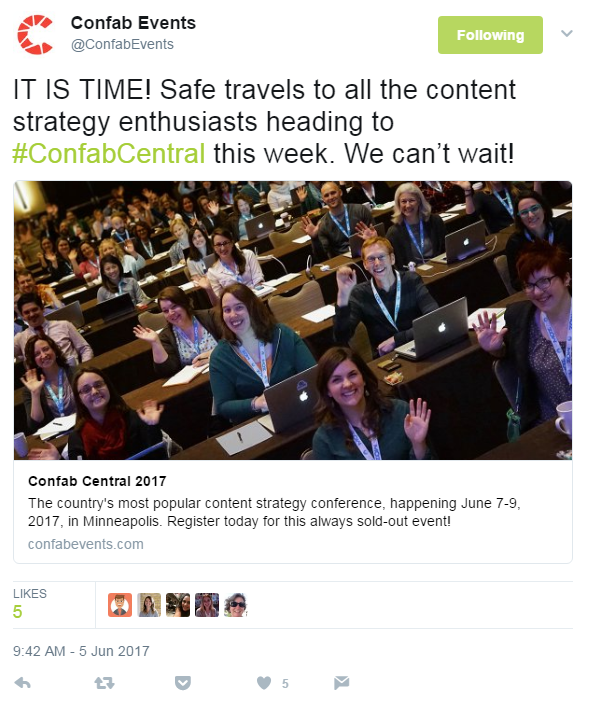 Use the event name, the topic of the event, or an abbreviation that’s easy to remember (like #HPEDiscover, #RSAC, or #ConfabCentral). Concise. It’s common to abbreviate the name of the event and then add the year (e.g., #CES2017). A shorter hashtag like this is easy to remember and allows for additional character space on platforms like Twitter. It doesn’t matter whether you’re on Twitter, Facebook, or Instagram—use the same event hashtag for all content related to your event. This creates a branded hashtag that provides a clear way to track activity across all social platforms. This approach may take time, but stick with it! Consistency is key. Once the branding becomes clear, it will be easier for others to follow activities surrounding the event. Consistently communicate and promote your event hashtag. It should be visible on event signage, posters, presentations, websites, social channels, even your email signature. Encourage speakers, sponsors, and attendees to use the hashtag for their own social activity when sharing their thoughts before, during, and after the event. It’s common practice to add hashtags to the end of a social message. But try using them contextually instead—it’s more efficient and professional, uses fewer characters, allows for additional content, and makes the hashtag part of the conversation. Despite the effort to promote and encourage everyone to use a designated hashtag for your event, inevitably someone will add their own twist. Keep an eye out and make sure to engage those who may be using the hashtag incorrectly. For example, New York City hosts its annual fashion week event twice a year. Before Mercedes Benz dropped its sponsorship of the event in 2015, it was officially called Mercedes Benz Fashion Week and promoted with the hashtag “#MBFW. Yet there were many people using the hashtag #NYFW instead. To keep up with what’s being said on social channels, make sure you monitor all hashtags that refer to your event. Effectively using a hashtag for your event is just one aspect of running a successful social-media campaign. As simple as it seems, having a clearly branded and relevant hashtag will elevate your social presence. The hashtag acts as a virtual water cooler—a way for people to come together and discuss what’s going on in one place. And as every marketer knows, word of mouth is a goal we all strive for. Get insights and valuable content marketing material.